Employees may book up to 2 staterooms for themselves and immediate family members as long as one interline eligible guest is traveling. 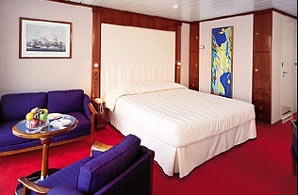 Spouse, Parents and Parents in law and Retirees may book one stateroom if the interline eligible guest is not traveling. 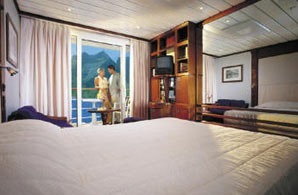 The Interline Program rates apply to members of the active/retired Interline community as listed above and apply to only 1 cabin per Eligible passenger, except that the Interline personnel traveling with a spouse and dependent children may request an addtional cabin which will be confirmed at Paul Gauguin Cruises sole discretion. 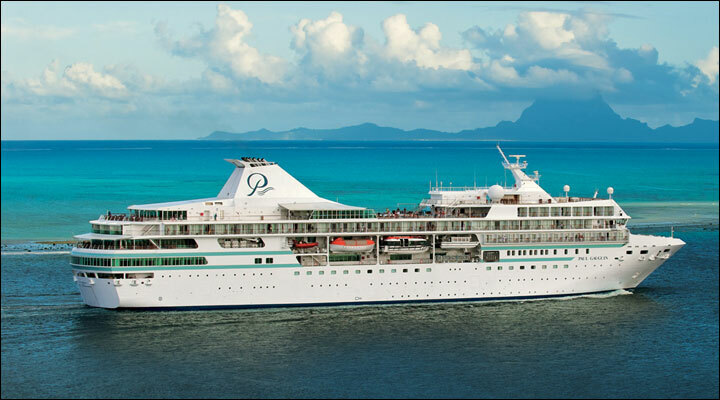 Paul Gauguin Cruises requires proof of Interline Eligibility immediately upon confirmation of your booking. Without proof of qualified interline eligibility, Paul Gauguin Cruises reserves the right to automatically adjust the price to the applicable retail rate prior to departure. The m/s Paul Gauguin was designed specifically to sail the shallow seas of Tahiti and French Polynesia, visiting small ports that larger ships can't reach and effortlessly blending into the stunning natural beauty of the South Seas. She offers an extension of the informal, relaxing environment of the islands, coupled with five-star service, comfort and luxury. 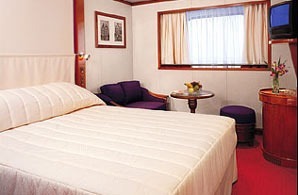 Spacious suites and staterooms (more than 70% with private balconies), an onboard watersports marina, a choice of three open-seating dining venues and an extensive spa are among her luxurious attributes. The atmosphere aboard ship radiates warmth, informality, and Polynesian flair. And her beloved troupe of Gauguines - a local Tahitian group who serve as cruise staff, entertainers and storytellers - add the unique personality of Tahiti to every cruise.